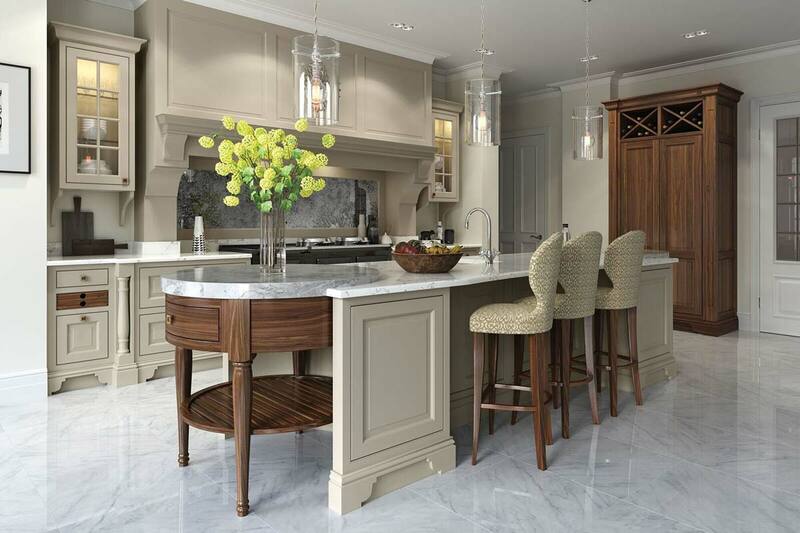 With kitchen islands, peninsulas and breakfast bars being some of the top items on today’s kitchen wish list design, the need to source the right chair or stool has increased considerably – it’s rare that when visiting our Chertsey showroom, a client doesn’t ask us where we bought the kitchen stools on display. Aside from the aesthetic of the chair or stool, there are practical considerations too, such as height, material, style and cost. Generally speaking, the three most used heights are kitchen table height, counter height and tall counter height. A good note to remember is that for an adult to comfortably sit on a chair or bar stool, a gap of between 25cm and 30cm from the seat of the chair to the underside of the counter or table allows enough space to be seated – if possible, actually testing the chairs or stools in a showroom ahead of choosing them for your kitchen, is a good idea. Some styles are also adjustable so that you can find the perfect height specifically for your preference. You may have noticed that grey features quite heavily in kitchens, for cabinetry and for décor – it’s such a neutral, elegant and versatile colour that it’s used frequently and can create a variety of styles, from dramatic industrial chic to a softer shaker style. 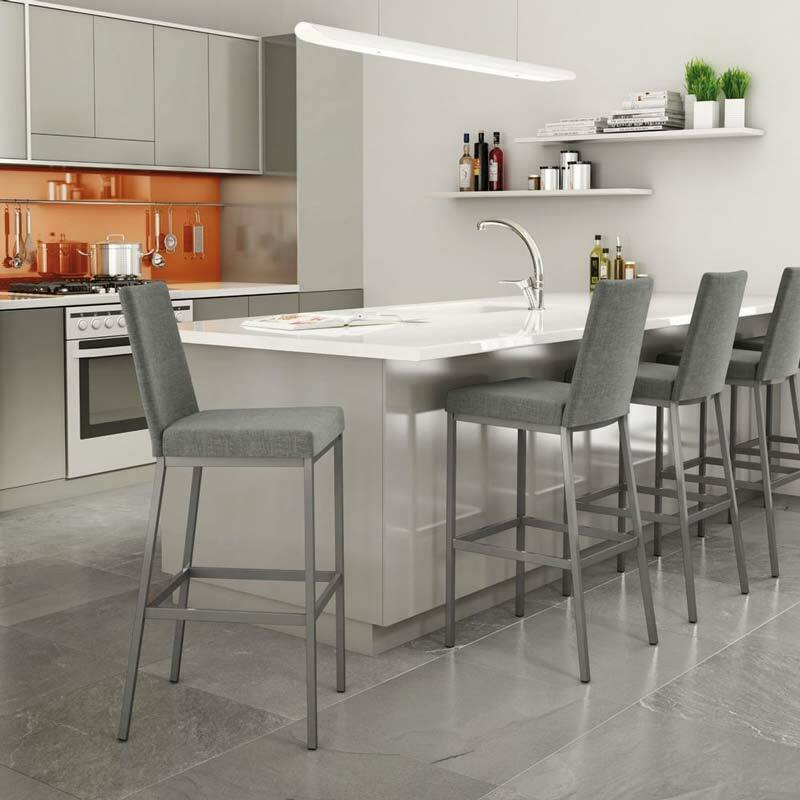 Kitchen bar stools can be used to focus on a particular style in a less imposing way – for example using all metal stools in a high gloss kitchen creates a good balance of two different materials. Upholstered chairs can add an element of luxury and texture to a kitchen but may not be practical for younger dinner guest and generally require a little more care to keep clean. Many materials offer a protective spray or treatment to help keep marks to a minimum. There are lots of options available whether you’re thinking of an elegant, classic feature or a cool modern look. When asked, we have referred our clients to online sites like https://www.wayfair.co.uk/ and https://www.atlanticshopping.co.uk/ for affordable breakfast bar stools and chairs. Both offer an extensive range covering every imaginable style. 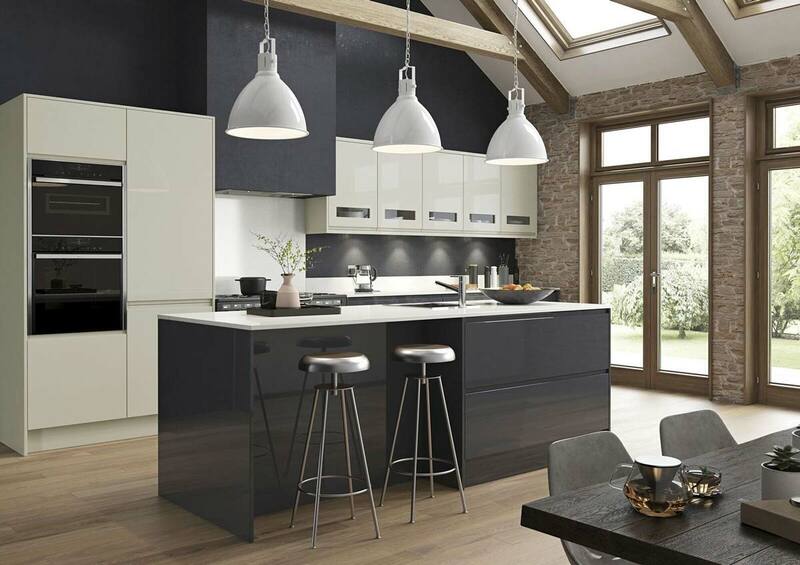 There are also many specialist suppliers who create be-spoke items and well known high street furniture stores as well as department stores that are worth exploring – often actually seeing and testing a piece of furniture gives us a good idea that we are making the right choice for our new kitchen. 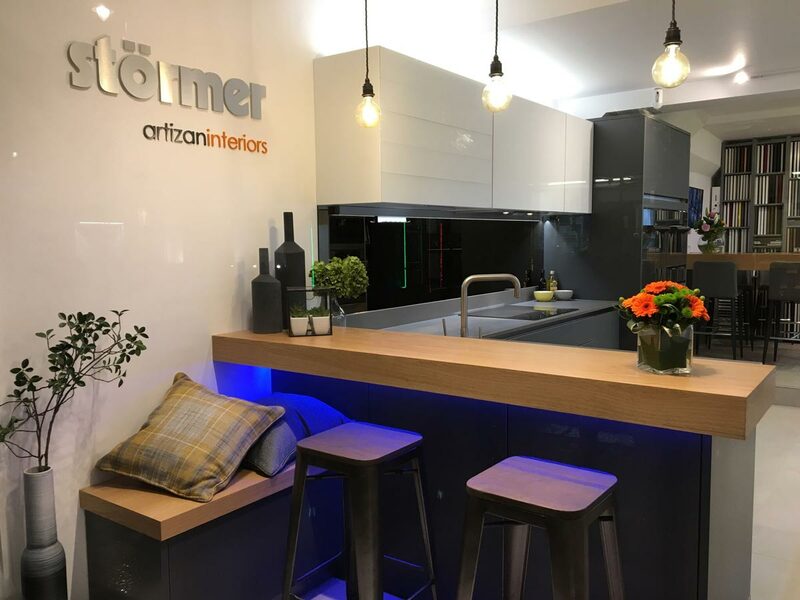 If you are unsure of what you like, the best thing to do is wait, don’t rush the purchase of your kitchen bar stools or chairs, until you’ve found just the right one for you and your home. 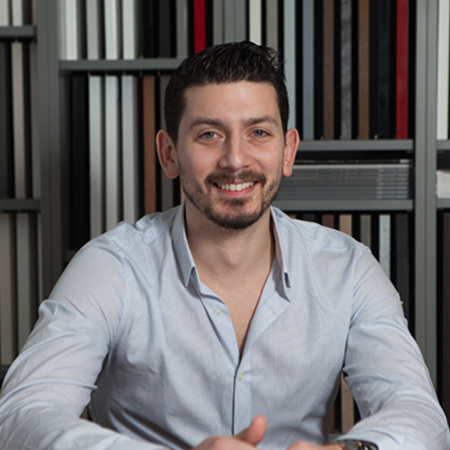 I've been involved in the kitchen industry for the best part of 10 years now, drawing on a creative background that came from attending Kingston Art College. After a small detour into the world of hospitality, fuelling a passion for food and a small obsession with whiskey, I returned to my creative side where getting into kitchen design and fitting was a natural path for my skills and enjoyment of working with my hands.